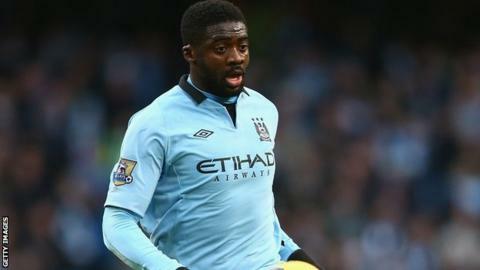 Liverpool have completed the signing of Manchester City defender Kolo Toure. The 32-year-old Ivory Coast international moved to Anfield on a two-year deal after his contract at Etihad Stadium ended. Toure made 102 appearances for City after joining from Arsenal for £14m in July 2009 and was part of the team that won the Premier League in 2011-12. But he played only 18 games in 2012-13 and was left out of the club's Champions League squad. Toure joins the Merseyside club following the retirement of fellow central defender Jamie Carragher and with uncertainty over the future of Slovakia international Martin Skrtel. He told the club's website: "This means a lot to me. Firstly, I'm joining one of the best clubs in England. "When I left City it was important for me to stay in England because it's the best league - and to join Liverpool is massive for me. "I chose Liverpool because of the history and because of the spirit of the team and the people here." In seven seasons at Arsenal, Toure won the FA Cup twice and was part of the 'Invincibles' squad that went through the 2003-04 season unbeaten to win the Premier League. However, he missed out on City's 2011 FA Cup success after being suspended for six months in March of that year for failing a drugs test. Toure is Liverpool's fourth signing of the summer so far, following forwards Luis Alberto and Iago Aspas, and goalkeeper Simon Mignolet.